Christianity was introduced in Japan by the Jesuit Francis Xavier in 1549. Upon his arrival, he was struck to learn that the local Buddhist monks denied the possibility of life after death. For his evangelical activity, Xavier opted to emphasize the doctrine of the immortality of the soul, which was determined as an article of faith at the Fifth Lateran Council (1513). The Jesuits who followed him continued to work in this direction. Several important studies have shown that Europe saw lively debates on the doctrine of the immortality of the soul among religious orders and leading philosophers during the Renaissance. Disputes on the same issue between the Jesuits and the Japanese Buddhists show a striking parallel. This paper will thus address the religious and cultural encounter between the West and Japan in this period. It was during its “Christian Century” (1549–1650) that Japan first encountered Western natural philosophy via the Jesuit missionaries. This paper explores how and why these missionaries emphasized cosmology in their evangelical activities. My central argument is that the Jesuits considered cosmological knowledge a very effective “spiritual weapon” in the first stage of their conversion plan in Japan: 1) to convince the initiates on the superiority of Christianity over local religions by demonstrating the existence of God on a logical and rational ground, then 2) to instill more strictly Christian doctrines, and finally 3) to reach Baptism. Many textual evidences show that cosmological ideas were closely tied to the references to “divine design,” which are found in treatises on catechism. This was the distinctive character of the early Jesuit mission in Japan. 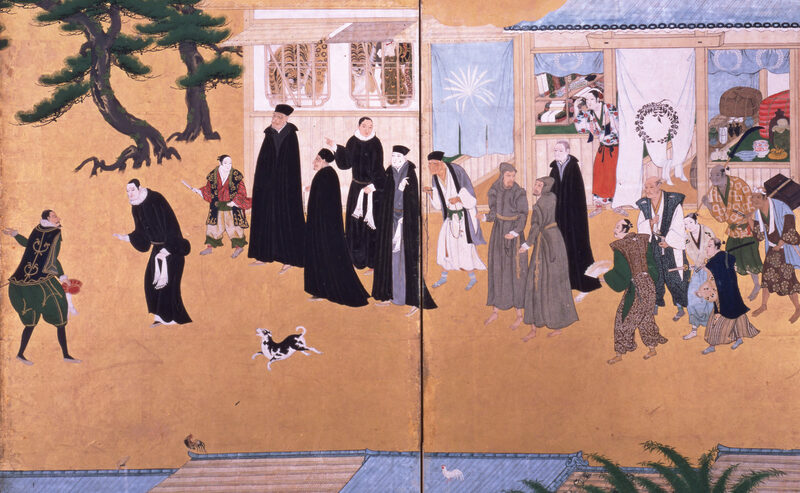 Scholars are increasingly challenging the traditional view of early modern Japan as an isolated realm, disconnected from the West. For example, interest in the mutual influence of cultures between Spain and Japan has materialized in a small, but significant, number of publications during the last decade. In my talk I will briefly introduce some key questions in this emerging field of interest. I will then tackle three emblematic aspects of the Spanish perception of Japan between 1550 and 1650: 1) the history of the Martyrs of Japan, whose concrete vision on the evangelical mission of the Spanish Crown often contrasted with that of the missionaries in the Americas; 2) the recreation and adaptation to European taste of some features of Japanese culture and aesthetics; and 3) the role of Japanese evangelizers in the New World. On My Life is the autobiography of the famous Milanese physician, Girolamo Cardano (1501–1576/77). It was posthumously published in Paris in 1643 by the editorship of the French scholar Gabriel Naudé (1600–1653). This piece of work, extremely complex and difficult to understand for modern readers, is richly illustrated by elements based on Cardano’s personal dream interpretations, and its structure borrows models from Greek astrology and medicine. It is also colored by his lifelong experience of phenomena related to his “guardian spirit,” which finally appeared in the guise of his father, Fazio. This paper tries to decipher these elements by using his other writings, namely the Commentary on Ptolemy’s Tetrabiblos (1554), On My Own Books (1557 and 1562), Books on Synesian Dreams (1562) and Dialogue between Girolamo and his Father Fazio (written ca. 1574). Although it is well known that astrology played a significant role in Marsilio Ficino’s De vita libri tres, and especially its third book, the De vita coelitus comparanda, the full range of its astrological dimensions has never been satisfactorily explored. In this talk, I will move towards fulfilling this desideratum by describing the three main realms in which Ficino used astrological techniques and ideas towards a medical end—namely, practical astrology, astrological medicine and talismanic magic—within the context of his Platonizing articulation of astrology’s natural philosophical foundations.